Oregon US District Court Judge Michael Simon will hear on Tuesday arguments over the issue of maintaining dams and salmon in the Columbia River. Simon is the new judge and he took over the case after Judge James Redden retired. They all have challenged the 2014 biological opinion, or BiOp, that guides dam operations. The case is intended to determine how to deal with the impacts of Columbia River dams on threatened and endangered salmon and steelhead. A legal battle surrounding the issue is on for more than 20 years and Tuesday's hearing continues a lawsuit filed in 2001. 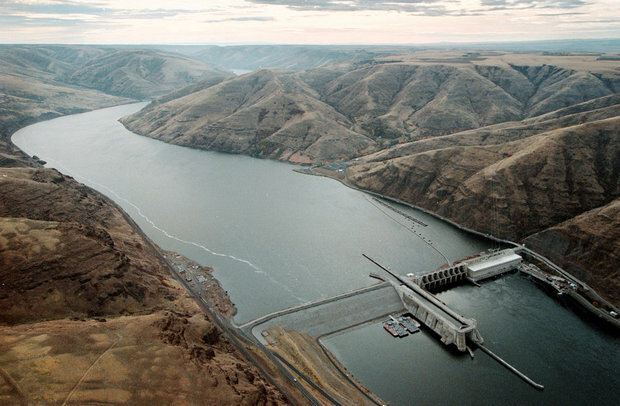 Under the Clinton, Bush and Obama administrations, several salmon protection plans have been submitted by deferral agencies that run the Columbia River hydropower system. However, they all were rejected after facing challenges. The US Army Corps of Engineers, National Oceanic and Atmospheric Administration, US Bureau of Reclamation and Bonneville Power Administration will try their best to prove the efficacy of their 2014 plan to protect salmon on Tuesday. Those who support the plan have to say that numbers of salmons have increased in recent years, which vindicates that the latest plan is working effectively. However, critics have to say that the plan is being touted to be effective, but the reality is the plan is not good enough to ensure the protection of salmon as expected. "In many ways this plan is simply just a recycled version of the plan that was invalidated by the court in 2011. Though, this plan actually allows for a reduction in spill. So, in that regard the new pan is actually weaker than the plan it seeks to replace", said Joseph Bogaard, executive director of the plaintiff group Save Our Wild Salmon.